Scope overview: Develop a master plan for site expansion, allowing them to double their production capacity within a short period of 12 months. Zammit is a family-owned smallgoods manufacturer and wholesaler, boasting an extensive and quality range of smoked and cured hams, poultry, beef, and salami products. The family business grew slowly and steadily since migration from Malta to Australia in 1952. 1997 heralded the beginning of a boom period of growth and expansion for the company. Working with Wiley food specialists on this highly-complex project provided Zammit with confidence in developing a master-plan to support their ambitious expansion goals. The facility solution allowed them to double their production capacity within a short period of 12 months. To meet rapidly-increasing consumer demand, Zammit acquired land adjoining their existing facility with the purpose of expanding production capacity. Zammit had completed small projects internally in the past and realised the next phase of expansion would involve substantial risks. As a starting point in the decision making process, they engaged an architect to prepare a design. As smallgoods is a high-risk hygiene food product, where the design and construction to facilitate good manufacturing practice is critical, a trusted equipment supplier recommended they connect with Wiley. Wiley reviewed the existing design and identified improvements to hygiene areas, critical to food safety. Production flows were reviewed and streamlined to eliminate identified ‘bottlenecks’. Wiley advised on the design of the building shell and were responsible for the design and fitout of all the critical components of the factory—including insulated panel fit-out, refrigeration/HVAC, finishes and process services. The distribution centre included additional production space, chillers, loading docks and an administration office. 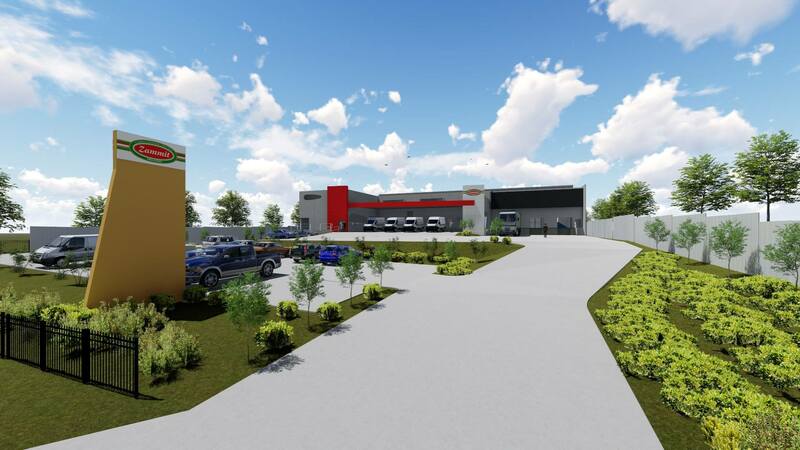 Wiley led the design, managed the development approval process, project managed the design and construction of the building shell and were responsible for the design and fitout of the distribution centre. A contracting strategy which provided cost certainty, savings and full transparency of financial performance.